Poorly planned and executed processes present distractions from daily work. Maintaining control of shared information is critical. Collaborate internally and with potential buyer's with a secure, centralize, cloud-based platform. 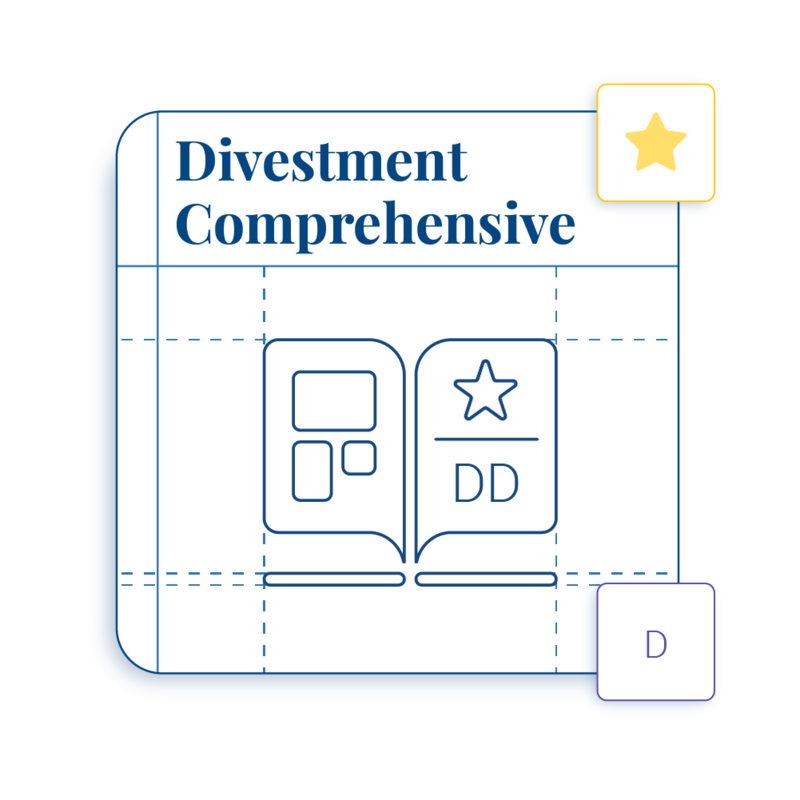 Configure Midaxo's expert-developed Divestment Playbook or upload and refine your own. 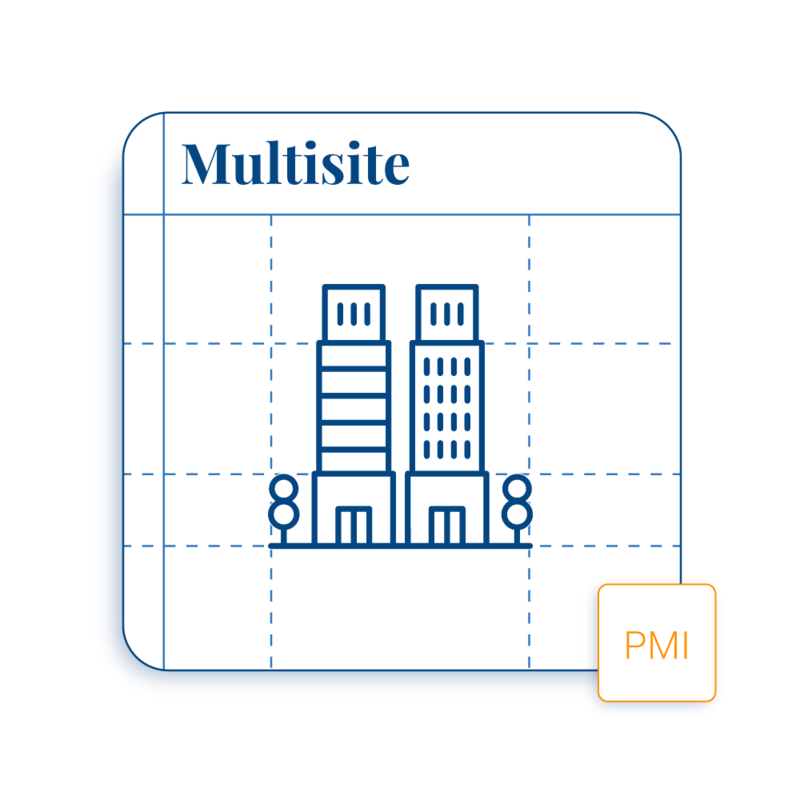 Review all business units against strategic goals. Assess readiness and prepare for sale in a methodical manner. Securely invite potential buyers to view key information. Navigate the nuances of the transactions. Impart much needed structure and direction across a divestment and better manage the complexities of changes to operations that are native to a divestment. Use one platform across the divestment from reviewing to transaction and separation. 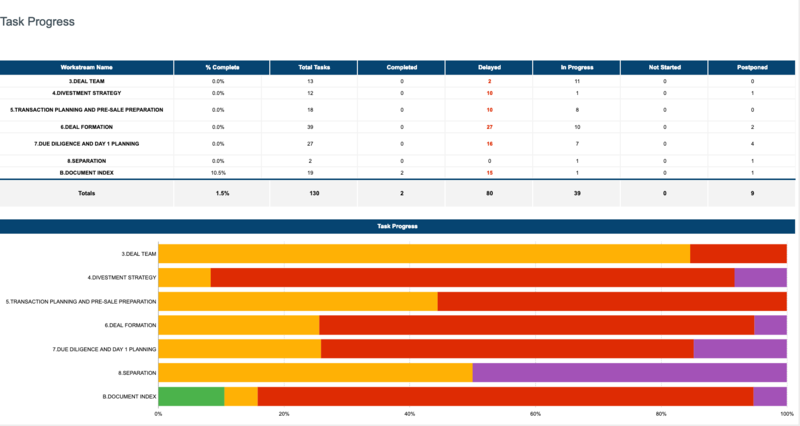 View execution progress with live dashboards and reports. Organize and control what potential buyers can see.